Driving test examiners develop their practical driving test routes to incorporate as many varied roads and traffic systems as possible. Many of these traffic systems will be junctions. Junctions vary from quiet unmarked junctions to busy multi-lane box junctions that are controlled by traffic lights. Examiners will include as many of these varied junction during your test. 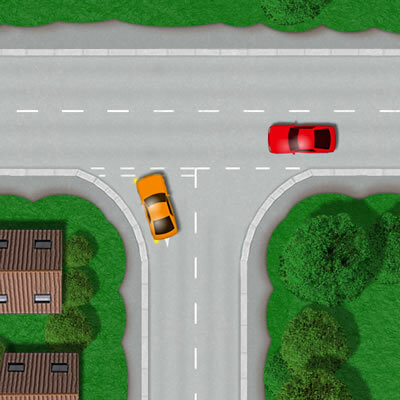 Understanding exactly how to deal with each and every type of junction is not only essential for safe long-term driving, but also necessary for passing the practical driving test. 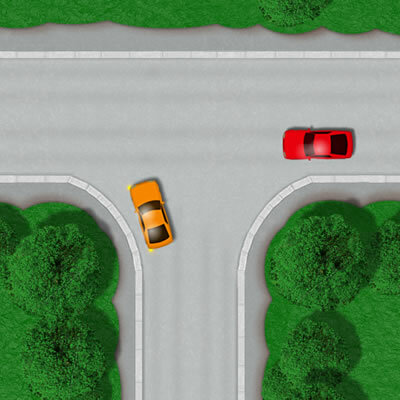 This tutorial will guide you through the different types of junctions that you are almost certain to encounter during your driving lessons and the test routes taken on your driving test. Unmarked junctions are often found in quieter areas such as residential back-streets or country lanes. An unmarked junction will not have any give way or stop sign and will have no junction lines. Depending on the junction type, in many cases no one has priority at these junctions so often good judgement on what you think other drivers are going to do is important. For instance, if no one has priority and another driver is approaching the junction quickly, it’s probably a good idea to wait and let them go first. Unmarked junction are often taken as part of the driving test to assess your ability for manoeuvring around narrow roads and dealing with other road users. Marked junction can vary significantly in size from small junctions found in residential streets or country roads to large multi-lane marked junctions. A marked junction will have give way or stop lines in place to aid road users who has priority. Marked junction may or may not have give way signs. As with unmarked junctions, marked junctions often feature heavily during the driving test. Junctions with stop signs and markings are likely to feature on the driving test if this junction type is within test routes distance of the test centre. 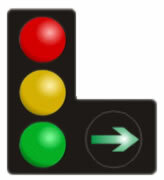 Often found in busier areas, controlled junctions use traffic lights to dictate the flow of traffic. Busy controlled junctions can often feature multiple lanes at the light and often have a cycle waiting area just before the lights. Filter lights are often used at controlled junctions to allow a certain lane of traffic to proceed when safe. Keep a good eye on the filter light if applicable as it can be easy not to notice. Not making progress on a green light can lead to test failure. Most types of junctions are taken on the driving test including controlled junctions. 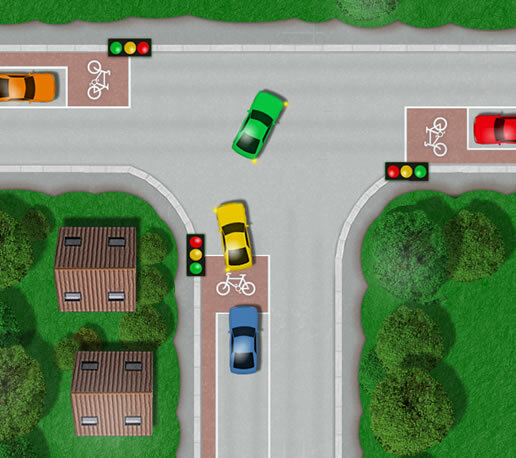 Box junctions are usually found in busy areas and are often controlled by traffic lights. If a box junction is within range of your driving test centre, then it is likely to be incorporated into the test routes. The yellow box with the crisscross lines is used to keep traffic flowing as a vehicle is not allowed to proceed into the box unless it’s exit is clear. Stopping in the box is permitted providing you can safely exit once clear. See Box junction for further information on how box junctions operate. Filter lights are often used at busy controlled junctions. It can on occasions be difficult to see a filter light turn to green, especially as a learner driver. Remaining stationary for too long when a filter light has turned green can potentially fail the driving test. For an explanation on how to use traffic filter lights, see traffic lights sequence. There are many types of junctions. Junctions can also be classed as crossroads and roundabouts. This tutorial covers T-junctions.